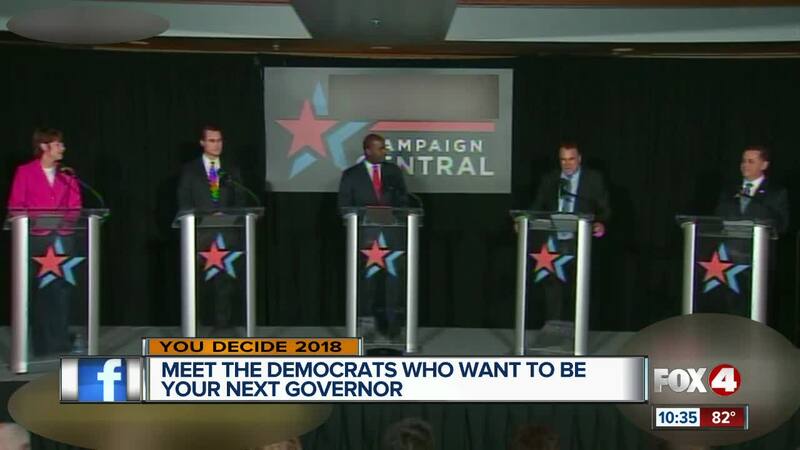 The five Democratic candidates vying for the state's top job squared off in hour long debate at Florida Gulf Coast University Wednesday. The first 15 minutes of the forum centered around pollution on Lake Okeechobee. Most of the candidates blamed incumbent Republican Governor Rick Scott for not doing enough to stop water releases resulting in toxic algae build up. 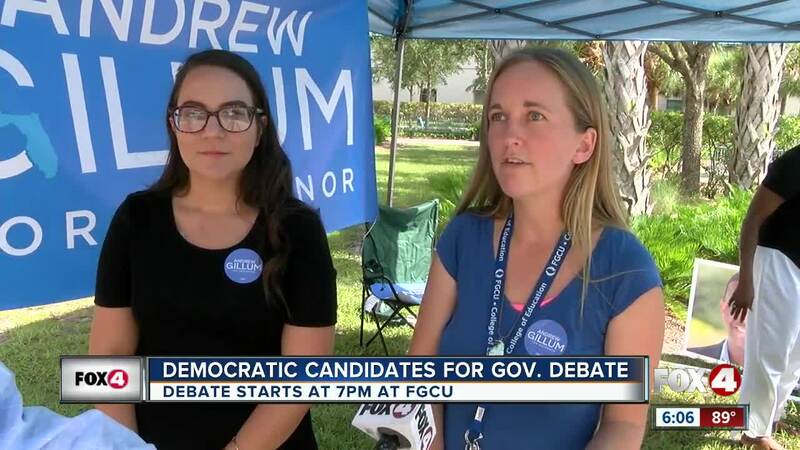 "We have to have a comprehensive plan to deal with this extremely difficult issue that has resulted in 20 years of Republican rule," said former Congresswoman Gwen Graham, whose father Bob was a two-term governor of Florida in the 80's. All of the candidates pledged not to take campaign money from the sugar industry, but some didn't want to blame them for all the problems on the lake. "I'll tell you the other thing we have to do, we have to stop the septic systems that's leaking all around the lake, big sugar is not the only problem, it's septic systems," said candidate Jeff Greene. "We need a reservoir to the south, but we need to start doing things now. We need to regulate the nutrients that are going into that lake, and by golly we need to get started," said candidate Philip Greene, a former Miami Beach Mayor. "What we have to do as Democrats is we have to recognize that for us to change the future of Florida we have to end these toxic discharges once and for all," said candidate Chris King, who attended a rally at Lake Okeechobee last Saturday. "When I'm elected governor I'm going to work with the sugar industry to re-establish the southern flow of water to the Everglades before we kill off that very valuable system in this state," said candidate Andrew Gillum. The primary is August 28th, voters have until July 30th to be registered. Florida has a closed primary system, meaning you can only vote for candidates in a party, if you are registered in that party.